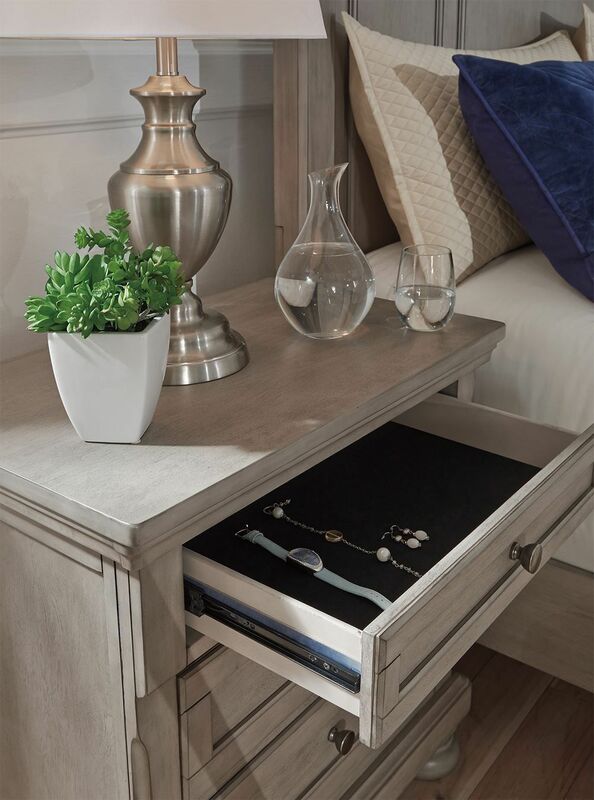 A masterpiece in the art of casual styling, the Lettner Nightstand radiates impeccable character with its burnished light gray finish and beautiful understated style. This master suite essential is constructed with select birch veneers and hardwood solids to bring you a durable piece with the look of 100% solid wood, but at a more comfortable price. 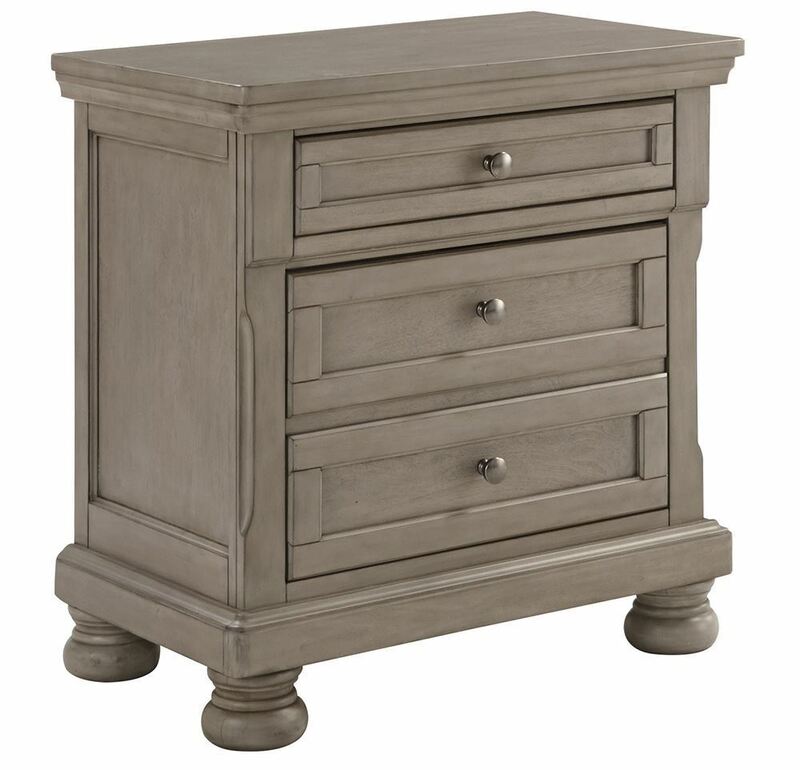 Reflecting remarkable quality inside and out, this nightstand has dovetail drawer construction with colored interior finishes and ball bearing drawer glides that make operation a breeze. 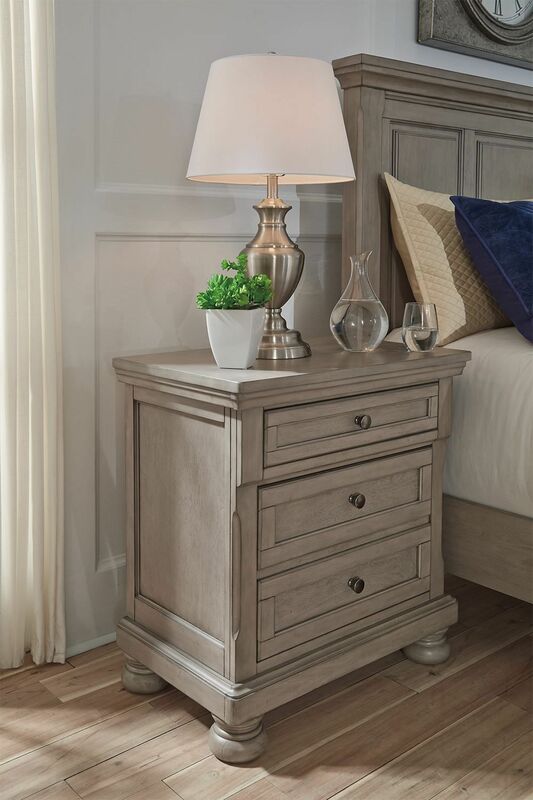 A masterpiece in the art of casual styling, the Lettner Nightstand radiates impeccable character with its burnished light gray finish and beautiful understated style.